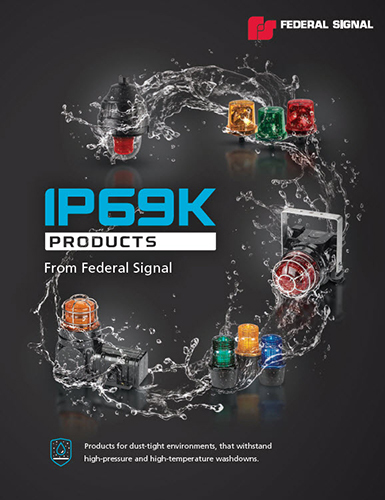 Federal Signal's Model 27XST-024*-4-MOD explosion-proof supervised strobe light produces 80 high-intensity flashes per minute. 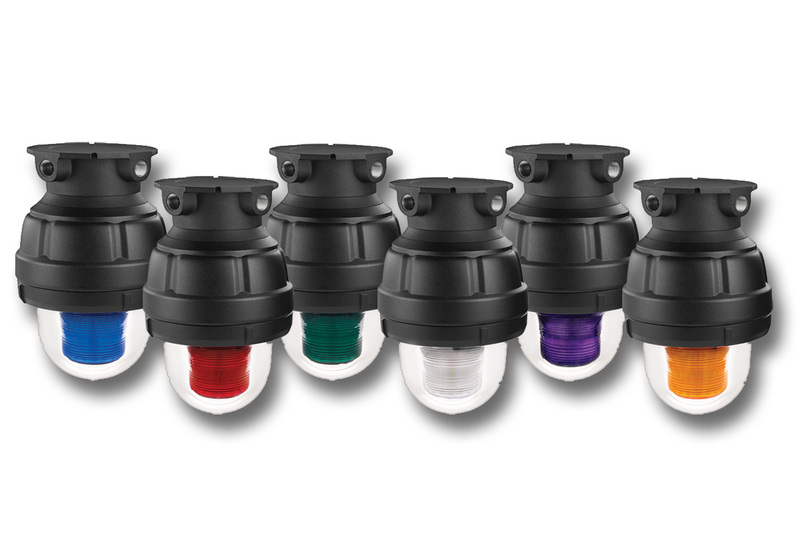 This warning light operates on 24VDC and is unique to the market because it covers an entire range of possible mounting configurations - including dome up. Model 27XST-024*-4-MOD is UL Listed for Class I, Division 1, Groups C and D; Class II, Division 1, Groups E, F and G; Class I, Division 2, Groups A, B; and Class III. It is UL and cUL listed, and Marine Rated. The 24VDC 27XST-024*-4-MOD features a voltage in-rush limiting PCB design that provides greater compatibility with factory automation control systems and less electrical interference with in-rush sensitive devices. Model 27XST-024*-4-MOD is Type 4X rated; constructed to IP66. Corrosion resistance is achieved with a powder coat finish applied over the copper-free aluminum housing. Model 27XST-024*-4-MOD has an effective candela (ECP) of 850 and a two million peak candela. The model can be paired with a pendant, ceiling or wall mount. For easy installation, the mounting box is first installed and the fixture is then threaded onto the mounting box, making the electrical connection. Electrical continuity is made when five threads are engaged. Model 27XST-024*-4-MOD is specifically designed for explosion-proof atmospheres and/or corrosive environments. Because it is easy to install and requires very low maintenance, it is ideal for use in areas such as oil rigs, mines, refineries, and chemical plants.